This week at Fundable we’re excited to share that two successfully funded companies have made their way to the World Cup and are making waves with new launches and ground-breaking inventions. LulzBot is the maker of the popular Taz 3D printer line, previously raising nearly $300,000 through Fundable. They’ve made incredible strides since their successful crowdfunding campaign launching new generations of printers and expanding their distribution exponentially. 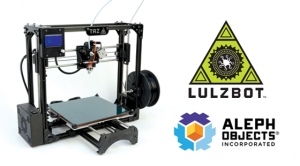 LulzBot made headlines last week when their 3D printing technology was used to create a bionic exoskeleton that helped a paralyzed Brazilian teen deliver the first kick of the World Cup. This amazing bionic technology is a collaborative research project, backed by a variety of incredibly prestigious institutions including Duke University Center for Neuroengineering and the Technical University of Munich. Uncharted Play, the makers of the Soccket, an energy-harnessing soccer ball, raised $500,000 from investors via Fundable. The Soccket and the Pulse (Uncharted Play’s new jump rope) harness the power of play to power lights, phones, and small appliances — serving as a life-changing resource for children in developing nations. In celebration of the World Cup, the Uncharted Play team is partnering with Toyota and launching a new educational initiative this week. They are in Brazil teaching children about emerging technology and bringing more energy-harnessing soccer balls and jump ropes to Brazil to create power through play.